The Day started with routine weekly review meeting with our coordinator Kulbinder and after 10.00 am, we started working on weekly report and ECDL. In second half, I appeared to the mock test of word 2007 (ECDL). With the result of mock test, was confident enough and mentally prepared to face the final exam of Module-3 (Word-2007). The day ended with full of satisfaction, because successfully cleared the module -3. The day came for which I was waiting since last 15 days. 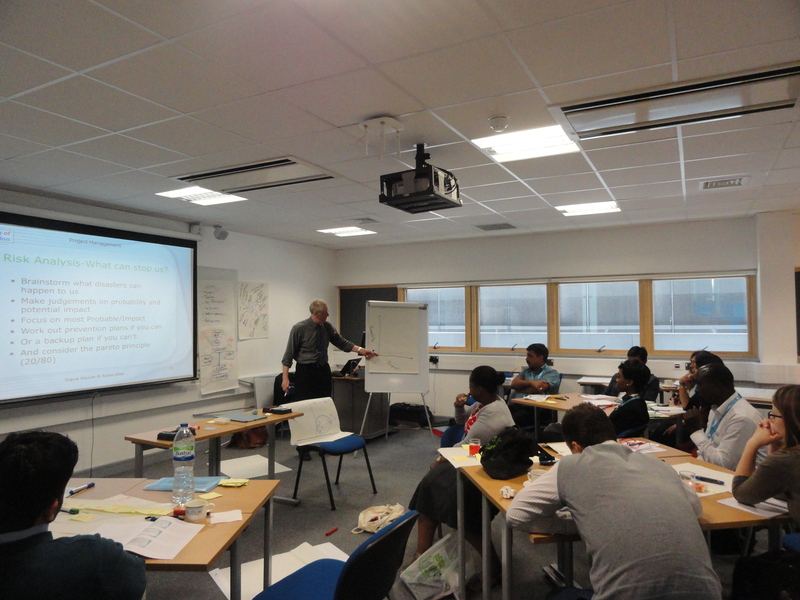 The Workshop on proactive Project Management by Steve Walker was started in Sports Doc 1.24 at 9.00am. The topic of the workshop was “Getting things done with project management approach”. Being a librarian of management institute, I heard a lot about project management but my concept was not clear. 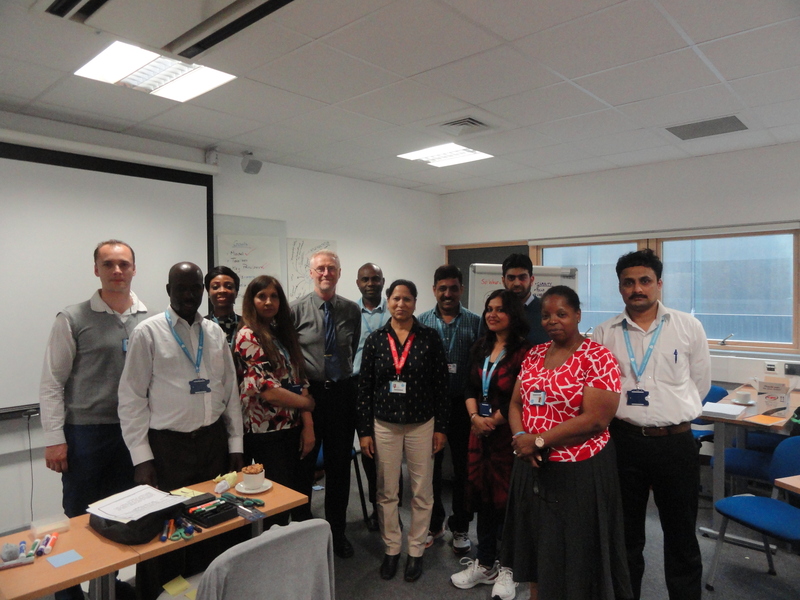 So, Steve Walker, trainer for this workshop taught us very nicely that what is project management and how to manage any project successfully, what are the principles, and how to identify the key driver- ect. I got new words and concepts like GIGO (garbage in-garbage out) and focus, control, sense of urgency ect…During this workshop some practical exercises were also given to us which we performed in groups and we really enjoyed. 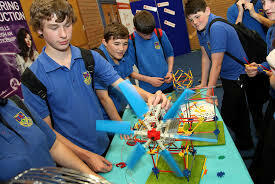 In one exercise, the task was given to prepare a project and its flow chart. I was very happy, because my team prepared a live project on Libraries in the prisons of Utter Pradesh (India). And it was appreciated by trainer, our mentor and coordinator..
Today, we did practice and self learning of ECDL and give some time for blog also. At 11 am we visited Sports Doc to see the “ACE showcase & Employment Fair”, where the final year students of Architecture, Computing and Engineering displayed their research projects. No doubt, I saw all those research works first time and I tried to understand some of the management research modules. It was good learning..
After lunch, again ECDL practice followed by mock test and finally main test. So, out of seven, now five modules are clear. In the first half from a meeting was scheduled with Victoria Voice (In-charge) digital development of UEL Library, so in her presentation she gave a detailed presentation about the policy, procedure and planning of digital development. 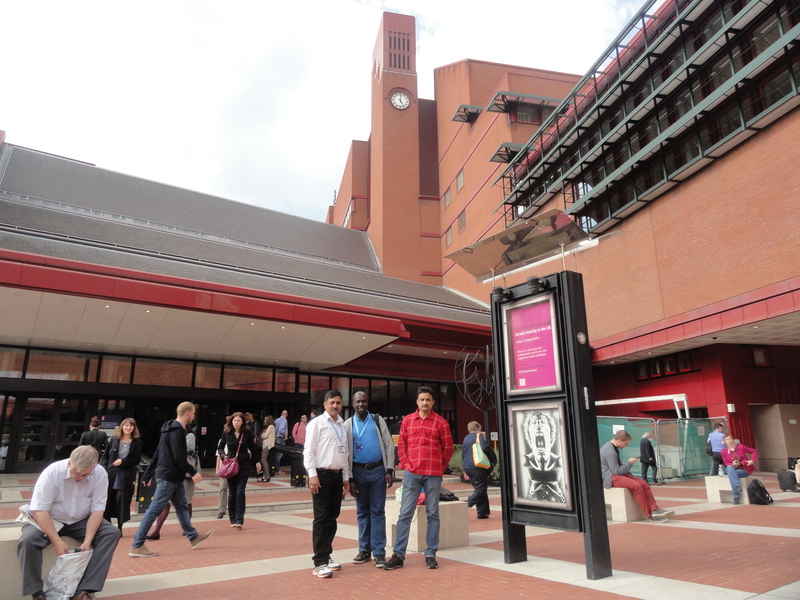 In second half, we went to visit British Library with our mentor Gurdish and Anca. Our appointment was there at 2.00pm so we started at 1.00pm from UEL and and first time traveled by DLR up to St. Pancras station, London. The beauty of this metro train is that it runs without driver. This library serves serves business and industry, researchers, academics and students, in the UK and world-wide and every year nearly 400,000 visit the Reading Rooms of BL. 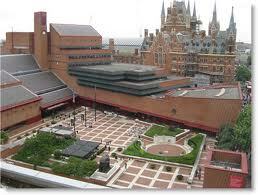 After this interesting visit BL for some time we saw the exhibition on the ground floor of BL. The first day of fourth week started with weekly review meeting with our programme coordinator Kulvinder. 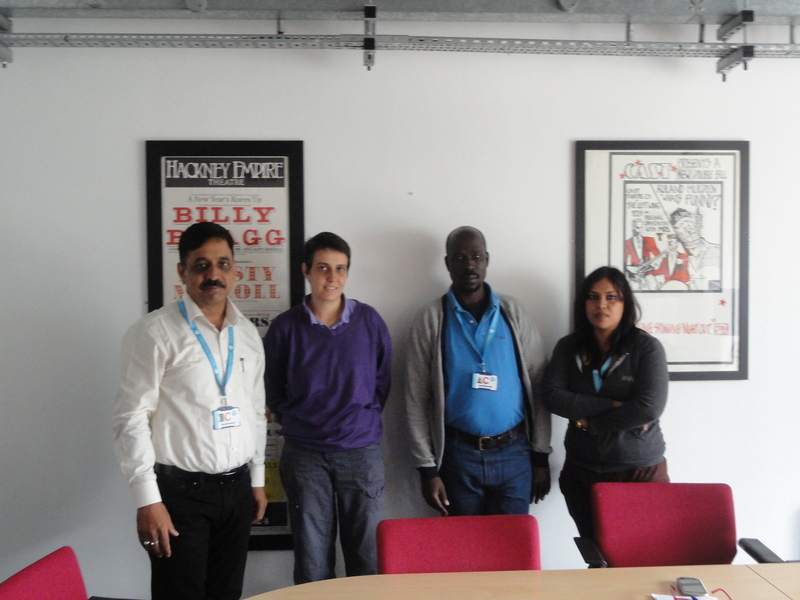 After meeting, at 10.30 am we met Adjoa Boateng (Head Information Services). She told us about the policies of collection development, Mainly, she focused on Expenditure, License, Statistics, Suppliers, UEL Archives and work flow. She informed us procurement procedure and importance of user awareness activities. Session was very informative. After lunch at 2.30 pm, our mentor Gurdish took a session on University Strategies. She gave us different examples of good strategies of different universities. She explained the difference between policy and strategy, different types of strategy and how good strategy plays an important role in achieving the goal/ target, how double arrow strategy works and what is evidence based acquisition ect. This was very thought provoking and interactive session. Today instead coming to UEL Docklands Campus, we went to UEL Stratford Campus Library and explored the library facilities, user-services and then did some practice of ECDL. 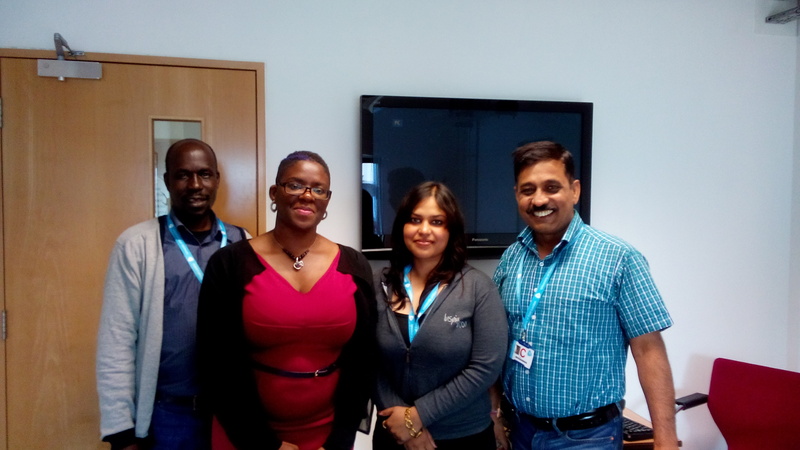 ü Newham Workplace – helping local people and adult learners with jobs. 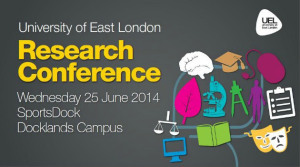 Today we attended “UEL Research Conference 2014” in Sports Doc. For this prestigious conference, we registered our selves online on 18th June 2014. This conference started with the inaugural presentation of VC- UEL Professor John Joughin. 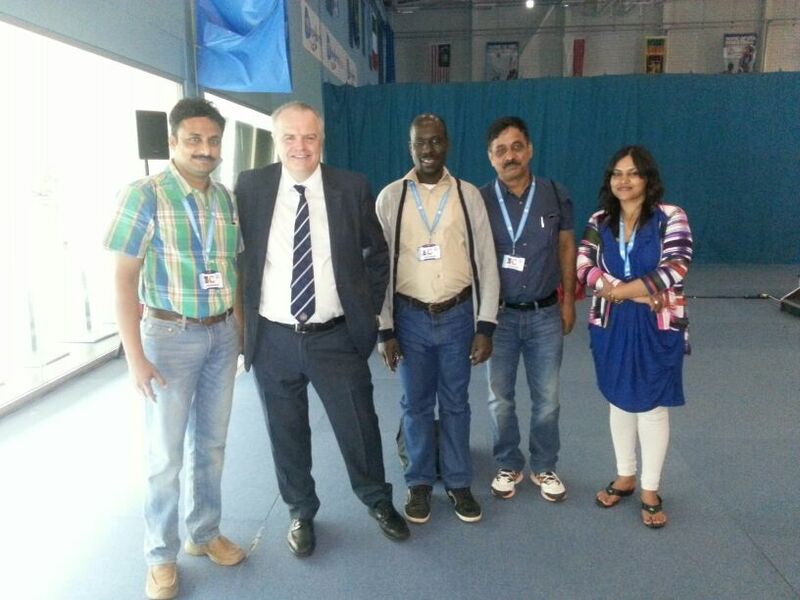 With VC- UEL Professor John Joughin. 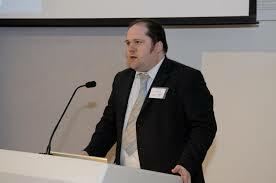 1) Donald Ridley: Preventing accidents in transport: ‘Mental workload’ an alternative construct to ‘human error’ in the operation of safety critical systems. 2) Debra Benita Shaw : Streets for cyborgs : The electronic Flaneur and the post human city. 3) Andrew Calcutt: The art of journalism? Searching for new ways of doing news. 4) Nira Yuval-Davis, Kathryn Cassidy, & Georgia Wemyss: Beyond ‘’illegal immigration’ : Inter-sectional narratives of the UK/ Schengen border. 5) Allen Brimicombe: Can we predict crime? 6) Angie Voela : A place of their own? 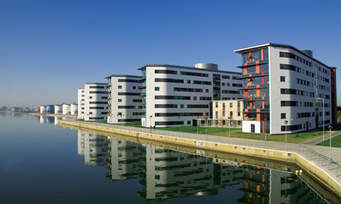 The Docksland Campus in students narratives and photography. 7) Wendy Drechsler : Optimizing treatment and management of young children with hemophilia. 8) Julia Yates: What kind of shoes does a social worker wear, and why does it matter. 9) Sally Culter : Do lice deserve their lousy reputation? After conference again in library and work on blog…. Today, first half we had a session with Mr. Russell Kennedy on “Introduction to Electronic Services”. 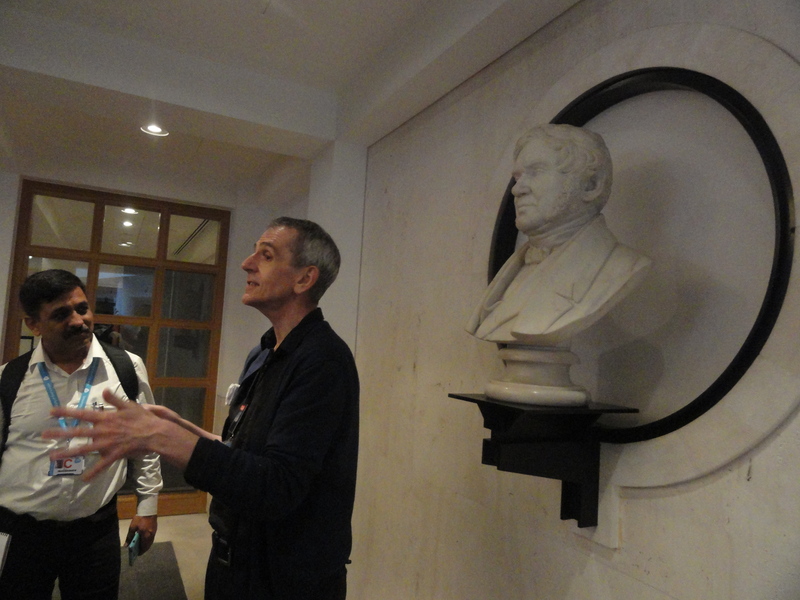 Mr. Russell is Electronic Services Librarian of UEL. During this session I learnt and understood many new trend, terms, techniques and service. 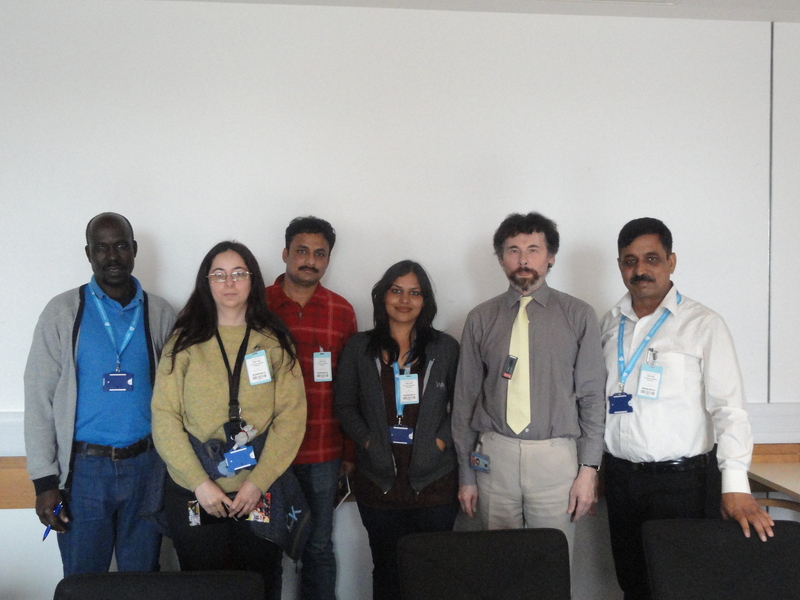 I learnt about community zone, DDA, MetLib and its connectivity with ALMA, uses of athens, open access resources, web site development at UEL ect. He is also in-charge of copy right issues of UEL So we learnt about intellectual copy rights. We had another important session with Mr. Stephen Grace. 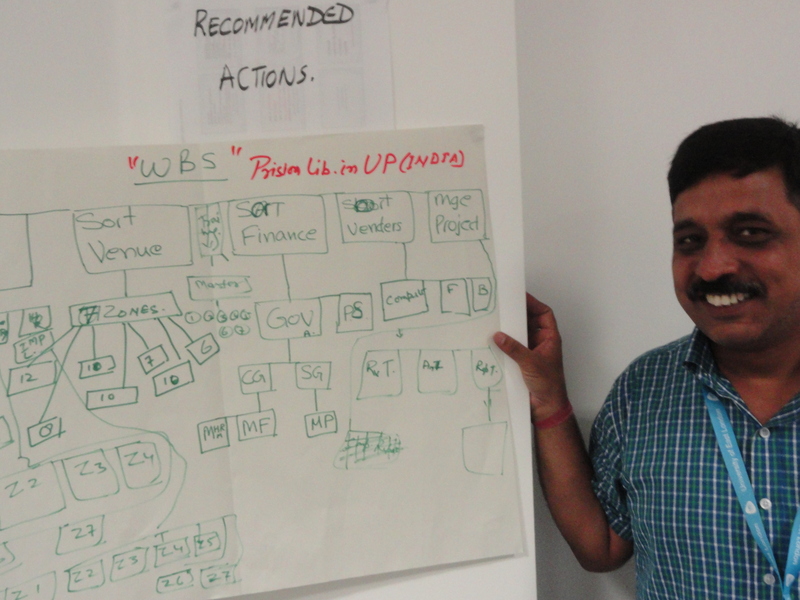 He explained us about the structure and development of Institutional Repository (ROAR). 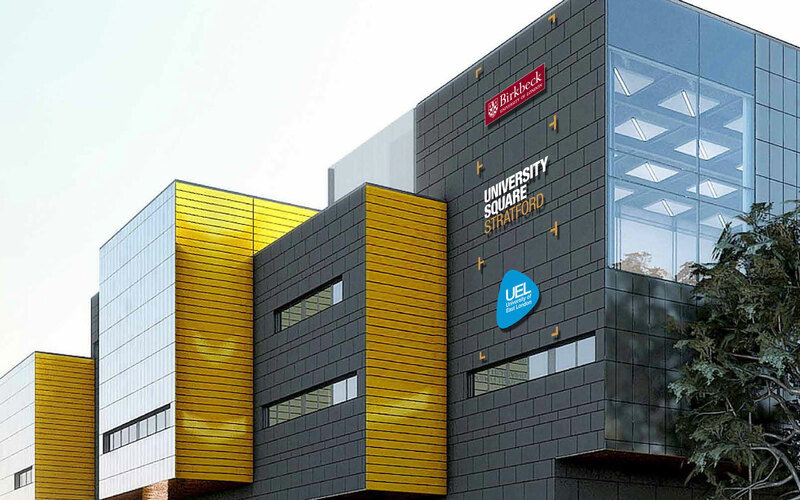 UEL is using an open source software –EPrint for it`s institutional repository with the help of University of London Computer Centre. We understood the Sherpa, Romeo and Juliet web portals. He explained about embargo related issues, and intellectual rights. Today in first half, worked on some assignments given by Gurdish and worked on blog. After lunch started working on last and final module of ECDL. This module is MS Access is little bit difficult for me because I have never worked on this. Lets see what happens next week….